Norman David Jefferson passed into a new life on April 13, 2019. Norm Jefferson was born to Fred and Alice Jefferson in Chicago, IL on March 18, 1945. Norm moved into the house that Fred and his brothers built in Palatine, IL in December, 1949. He overcame a childhood bout with polio when he was 7. 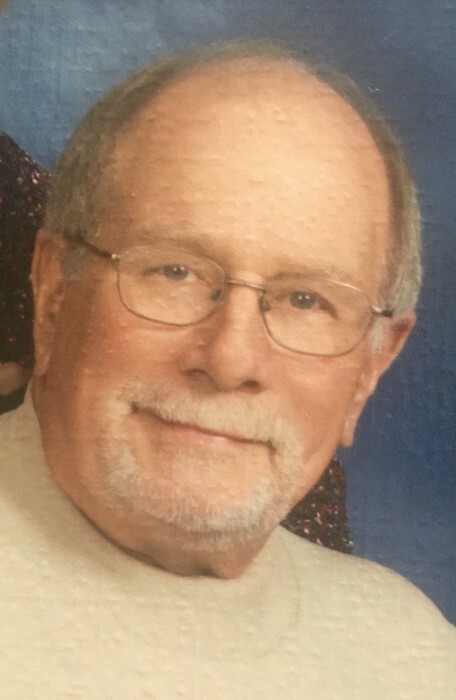 Norm spent his formative years exploring the woods adjoining his home, playing games of baseball and football in the neighborhood, and basketball on the courts “uptown.” Early camping trips with his family instilled and solidified a love of the outdoors. Norm attended multiple Palatine schools graduating 8th grade from Stuart R. Paddock School where he was awarded the American Legion Citizenship Award in 1959. Norm was a Boy Scout selected to the Order of the Arrow, the National Honor Society of the Boy Scouts of America. He graduated from Palatine HS in 1963 where student council and humoring his classmates had been his primary endeavors. Norm attended Ripon College in Ripon, WI. At Ripon he continued his lifelong mission of bringing mirth to the world by serving as the unofficial court jester for his beloved Delta Upsilon fraternity brothers. Norm channeled his love of the natural world and the outdoors into a biology major. The highlight of Norm’s Ripon years was meeting his future wife J’Ann Lofte. Norm graduated from Ripon in 1967. He and J’Ann were married in 1968 and shared the joy of having three sons together. Erik, Michael and Peter spent their youth primarily in Kalamazoo, MI growing to love the outdoors and enjoying all the sports their father had loved also. Sadly, J’Ann died of breast cancer in 1985. In 1987 Norm married Margery Wirth and together they added two daughters to the family. Marissa and Mirielle challenged Norm to learn how to raise girls. Through it all, Norm was the funny, entertaining personality and his great sense of humor did rub off on all the children. Norm’s pride in his family and all their accomplishments was of paramount importance to him and guided all his interactions with close and extended family members. Norm selected Toxicology as his initial employment and which became his lifelong vocation working for various companies in Milwaukee, Cincinnati, Kalamazoo and finally retiring from Southern Research Institute in Birmingham, AL. He began as a Research Associate working in laboratory settings, was promoted to various leadership positions in management and then settled into the business development side of the work. Norm’s quick wit and engaging personality won him friends in every position he held. Many moments were spent in Norm’s office relieving the stress of the day with some light-hearted humor. Norm is survived by his wife of 32 years, Margery Wirth; his five children, Erik (Kim), Michael (Heidi Mucha), Peter (Cathy Marsom), Marissa Spigner (Jason) and Mirielle; six grandchildren, Cade, London, Avery, Josie, Kenley and Jase; two brothers, Bruce (Marj), Randy (Ann); special brothers-in-law, sisters-in-law and many dear nieces and nephews. The family has elected to have a Memorial Celebration of Norm’s life on May 18, 2019 at 11am at the Riverchase United Methodist Church in Hoover, AL. A time of visitation with family will precede the celebration at 10am. In lieu of flowers, a contribution to the Imagine Building Fund at Riverchase United Methodist Church would be appreciated. There's still time to send flowers to the Visitation at the Riverchase UMC from 10:00 AM to 7:00 PM on May 18, 2019.